This blog comes with warmest wishes for a very happy Christmas and a peaceful New Year from all of us at Tadpole Farm CE Primary Academy. Thank you to all those of you who came along to the nativity services this week. Christmas is a special time of year in a Church school and to be able to have these services in church added to the sense of the school being part of the wider Christian community. A huge thank you goes to Laura (mum of Ella YR), Denise (gran of Ella YR), Kerry (mum of Annabel YR), Sara (mum of Lucas YR) and Lisa (mum of Grayson YN and Rheya YR) for all their marvellous costume making. The costumes are beautiful and will last us for many years to come. There are links from that document to further web based information from the DFE. Hopefully we won't need to close for any reason, snow or otherwise, but it would seem sensible to let you know where you can find out what we will be doing should the weather turn snowy. If at all possible, in terms of safety, we will open so that those of you who work can still get to work. The teaching staff live at various long distances from school so their ability to get in to Swindon will have a major impact on whether we open or not. A decision on opening or not will be made by 6:30 a.m. on the day of any snow difficulty. Regardless of what happens after that time, the school will open or close for the whole of that day - so if, for example, the decision is to open and then the snow gets worse we will stay open until 3:30, though you would be welcome to collect your child early if you were worried about travelling in the snow; on the other hand, if the decision was to close for the day, we would remain closed for the whole of that day even if the snow all suddenly melts and the roads clear. We will put a message on the website via blog; will send out a text and will send out an email. The Friends Of Tadpole Farm facebook page will also be updated. Would you be interested in coming in to school on a regular basis to help support reading in Reception? Maybe you are someone who is great at music, art and crafts and could offer your time on a one off basis? The children in Reception are now well settled and we think they would cope with parents coming in to help from term 3 onwards. Please let Miss Leach or Mrs Flynn know that you are interested in finding out more and your availability in terms of day/time. If you would like to discuss applying for a school place or would like any help with the process please pop in and see us at the start of term 3. Snack Money - The snack money for next term is £6. Please send in by Friday 9th January. Thank you for your donations to various charity giving events we have held. A box full of Christmas gifts has gone to the Swindon Foodbank, along with a cash donation of £75.00 to help support the work they do. We have sent £59.00 to Children-in-need from our super hero day. The Christmas themed day raised £41.90 and this has been donated to Save the Children. A really valuable part of the learning the children do here is about how they can impact positively on the world around them; how those who have need to think of ways to help those who are in need. Your support in this important area of their learning is much appreciated. Values - the values the children will be learning about next term will be truthfulness and perseverance. We'll be thinking about why it's good to tell the truth and what to do if you make a wrong choice; how do you sort it out with your friends and family. The New Year is always a good time to focus on perseverance - those new leaves we all like to turn over and resolutions we make... we'll be talking about why it's good to keep trying, even when we find something hard. Owls and Squirrels - PE kits have been sent home for washing; we noticed some were not named yet and some of the daps/trainers are getting a little small so you may want to check this. Please could they come back on the first day of term. Next term we'll be learning through investigating traditional tales, experimenting with ice and spending lots of time outdoors making dens and studying woodlands. Hedgehogs - PE kits have been sent home for washing; we noticed some were not named yet and some of the daps/trainers are getting a little small so you may want to check this. Please could they come back on the first day of term. Already planned for next term is learning about and through nursery rhymes; we will be investigating and exploring how things change and why things happen. Lily Pad - still have spaces so if you need time at the beginning or end of each day then your children would be welcome to come along - please see Niki in the office to sign up for these - one off sessions can be accommodated with a weeks notice. Thank you for donating toys and games to the Lily Pad, your generosity is much appreciated. We look forward to seeing you on Monday 5th January 2015 for the start of another exciting term and the beginning of the year that will see us move in to our real school building. As the term begins, we will be welcoming new children and families to school in our nursery class and we know you will make them all feel welcome and help them to settle in to our community. On a personal note, may I wish all of you a Happy Christmas. Thank you for all of your support in this first part of our life as the community of Tadpole Farm CE Primary Academy. At this time of year we are reminded of the humility of the shepherds; the faith of the wise men; the joy that the angels bring and the peace of the birth of Jesus - these values run through the school community we are building and I look forward to sharing more of this exciting journey with you in 2015. The first Advent Sunday this year was last Sunday, 30th November, which, in the Christian calendar, begins the build up to Christmas. The staff and children are getting excited about setting up those Christmas traditions that will stay with us as the school grows. Food bank donations - there is a box under the tree for the donations you are kindly giving to Foodbank - the box will be there all of this week. Friday 12th December - the staff are taking part in 'Wear your Christmas Jumper to Work' day so we thought we would invite the children to come in on Friday in any Christmas themed items they have - maybe a Christmas jumper; maybe Christmas hair bands; maybe Christmas leggings - anything that is not Christmas themed item should be school uniform though - if your child would prefer not to then that's fine too. Tuesday 16th December - Nursery nativity at St Andrews church - there will be no afternoon nursery session on this day - all Nursery children taking part in the nativity will need to be taken to St Andrews Church for 1:40 pm ready for a service at 2:00pm. If your child is in Nursery and you haven't let Mrs Smith know whether or not your child is coming to the service please do so asap so she ca plan parts etc. The church has no toilet and can be cold - children should wear long sleeved tops and joggers/leggings and their costume will be put on top of that. Siblings, who are in Reception, may come along to the service - please collect them from school at lunchtime. There will be a money collection to help support Swindon Foodbank. Due to the size of the church we ask that no more than 3 adults come along per family. Wednesday 17th December - The children will be having their school Christmas dinner on Wednesday 17th of December and the Reception children will be having their Christmas party on the same day, in the afternoon. They should wear school uniform to school, but may bring party clothes in to school to change into after lunch. Christmas hat competition on the 17th of December - homemade Christmas hats should be bought in to school in the morning - prizes for the best three hats will be awarded. 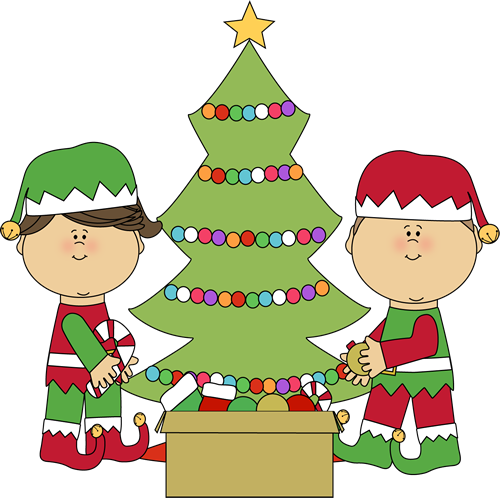 Wednesday 17th again - The Nursery children will be having their party, in their normal session, on the same day too - they may come to Nursery in their party clothes and will be having party games and Christmas themed snacks. If your child does not normally attend Nursery on a Wednesday and you would like them to come along on the 17th December for the party please talk to Mrs Smith, who will advise you of timings etc. Thursday 18th December - Reception children - Nativity Service at St Andrew's Church. Children should arrive at church at 4:40 pm for 5:00 pm start. The church has no toilet and can be cold - children should wear long sleeved tops and joggers/leggings and their costume will be put on top of that. There will be a money collection to help support Swindon Foodbank. Due to the size of the church we ask that no more than 3 adults come along per family. Parking is tricky too so car sharing and a torch might be useful as the lane can be dark. Friday 19th December - last day of term. We will finish at normal finishing times and the Lily Pad will run on that day as usual. Children brought home "an introduction to St. Andrew's Church" leaflet, our partner church. There was also a list of specific Christmas services too. Rev Caroline and Rev Anne are always on hand at school on a Wednesday morning for a chat, or to discuss anything that is worrying or troubling you about anything at all. Some people have been reporting problems with not getting our emails and have found the email in their junk box. Please alter your mailbox settings so that you don't miss any information from us. Invoices for Lily Pad are sent out from xero.com directly to your mailbox. It's really important to keep the brain hydrated during they day. Lots of important research has been done linking effective learning and drinking water regularly. Please provide a clearly named water bottle for school use. The bottle should only contain water, no squash or other drinks please. The children are showing great independence skills by changing their clothes for PE sessions - even the nursery children. But sometime they forget to put the right items in the correct PE bags - they are still little, and learning. When the washing gets done, can you please check that the items that come home are yours. If not, please return as soon as possible so that they can be returned to the rightful owner. Thank you for your understanding. If your child has had an accident at school and comes home in clothes borrowed from our supply please wash and return asap... we are running out of pants!!! We are now in the season of bugs and viruses and want to thank you all for being diligent about keeping your children off until they are clear of infections or coming promptly when we phone you to say they are not well. With such a small number of staff we want to keep as many of us at work as possible to support your children's learning and your help with this is much appreciated. The end of November is creeping ever closer and the season of nativities and Christmas singing is almost here. A big thank you to the group of parents, grandparents and family friends who are supporting creating the costumes for our first nativity, and the many nativities that will follow over the years. Does anyone have any good contacts for buying a real Christmas Tree? If so, please pass on to Niki Wilding, school@tadpolefarmcepa.co.uk. Service to the community - as part of showing the value of service to the local community, we'd like to ask you to join us in providing Christmas items for the Swindon Foodbank. Please bring these in to school in the week beginning Monday 1st December. Having been involved with families that access this sort of support, I can say that the difference having Christmas items - the sort of things we all like to provide for our families at Christmas - makes, at times when things look bleak, goes beyond words. The Foodbank need ordinary items still too. Families in need come from a wide variety of backgrounds and quite often find themselves in a situation they have never been in before nor ever imagined they would be in. The support they receive at Foodbanks goes beyond just the food they receive. It helps them feel that there is hope; that people who they may never meet have cared enough to help them out; that they matter. Please give as generously as you are able to do. We will put boxes in main entrance for any donations you are able to make. Christmas dinner, Christmas hats and parties - The children will be having their school Christmas dinner on Wednesday 17th of December and the Reception children will be having their Christmas party on the same day, in the afternoon. They should wear school uniform to school, but may bring party clothes in to school to change into after lunch. For those of you who like plenty of notice about upcoming craft requests, there will be a homemade Christmas hat competition on the 17th of December too - more details to follow. The Nursery children will be having their party, in their normal session, on the same day too - they may come to Nursery in their party clothes and will be having party games and Christmas themed snacks. If your child does not normally attend Nursery on a Wednesday and you would like them to come along on the 17th December for the party please talk to Mrs Smith, who will advise you of timings etc. Phonics Workshop - Many of you asked if we could run a later session of the Phonics workshop so we will be running the Parent Phonics Workshop again, on Wednesday 26th November from 4.30-5.20pm, for those of you who could not make the previous workshop. Please bring your Reception age child with you as there will be activities for you and your child to participate in. Books and Words Webs - There is something lovely about a new book or a new learning resource. Sadly, some of the books and words webs that are coming back in to school no longer look so new. Could I ask that you help your child look after the school property that comes home so that future Reception learners have use of the lovely resources too? Suitable outdoor clothing - the children love to learn and play outside. As the weather turns please could they come to school with suitable footwear and outdoor clothing. It's tricky as it needs to be warm but not so bulky that they feel they can't move in it! Thank you for your continued support with this. What a busy few weeks we have had already! So far this term we have been learning all about our community and different types of shops. We have been writing shopping lists and visiting Tesco to buy snack, serving food and drinks in our cafe and we have been paramedics rushing to help people in need. We have been learning that there are lots of people in the community who do important jobs to help us; a topic which has tied in with our focused school values of service and thankfulness. We have been trying extra hard to help those around us. You might have noticed that we have also been learning to tell the time recently and we are getting really good at telling the o’clock times. We hope the children have been telling you about our weekly drama sessions with Aaron, a drama teacher from the Sixth Sense Drama Company. The sessions run every Tuesday for one hour and are helping develop the children’s confidence, speaking and acting skills and they are great fun. Aaron has big plans for us to put on a production with him at the end of the year! We are still really enjoying our phonics work and have now learnt all of the phase 2 sounds. We will keep practising these over the next few weeks to build our skills before we start to learn the next set of sounds in Phase 3. As I am sure you are well aware Christmas is fast creeping up on us. We have begun preparations for the much anticipated Nativity, with costumes being sewn, sets designed and props created.The children will be busy learning songs, dances and actions, so I am sure you will get a sneak preview over the coming weeks! Finally, now the weather is getting colder please make sure your child brings a warm coat, hat, gloves and scarf to school to keep them warm as we still intend to do as much learning outside as possible through the winter months. The children have learnt how to sort cars by colour this week and we have also been adding and taking away small amounts of objects. We have been developing our understanding of positional language and used this vocabulary to give our friends instructions using cars. Please remember to pay your child's snack money next week. Fantastic First Term at Tadpole Farm! Thank you so much for all the support, offers of help and positive comments that have made this first term so rewarding and pleasurable for all of the staff involved at Tadpole Farm CE Primary Academy - we couldn't have done it without you! As Bishop Lee said, when he opened the school at the start of September, this is one step on our journey and we look forward to sharing many more steps with you in the coming terms and years. This blog has information about the beginnings of the Christmas events; our values foci for term two; an update on the real school build; news on fundraising and gift giving; guidelines about things your children need and news from the classes. We wish you all a lovely holiday (remember, the last day in school is today, Tuesday 21st October) and look forward to seeing you on Monday 3rd November for term two. We have thought about the size of tree we will eventually need, but as we all love Christmas we think that will be fine! Stay and Play - on Thursday 20th November we are offering the opportunity for up to 40 of your children to Stay and Play at school from 3:30 to 8:00pm. This gives you an opportunity to do some Christmas shopping, without small people, or you may choose to spend the time doing something more relaxing! During the session, supervised by staff in school, the children will do some Christmas crafts, play, have a buffet style tea and watch a DVD on the big screen. The cost for the session is £5. Booking will be on a first come, first served basis - Niki Wilding will be stood at the entrance door to school on the first day back after the holidays - to secure a place you need to bring in an envelope, labelled with your child's name, containing the £5. In my experience, children really enjoy these sessions and love the novelty of staying on at school after the end of the day to play and have fun with their friends. As a staff community, we feel it gives you a little bit of time to spend with your partner/friends and we know you value that. For Christians, service means not only service to God but to each other. We will be thinking about doing things for others and how others do things for us. The message that the children will be learning about from the Bible stories is 'It's good to be helpful'. In this period in the run up to Christmas there are lots of things the children can do to be helpful and show the value of service - serving others helps them to think about themselves as part of a wider community too. We will also be studying the value of thankfulness. Through the worship stories, we will be thinking about how it feels to be thanked and not thanked for something we have done. Looking at the amazing world around us, we will thank God for the changes that happen in Autumn and be talking about what we love most about the world that God has created for us. It's obvious to say it I know, but our celebration this term will be Christmas. The children will be learning the story of the nativity and the journey and events that led to the birth of Jesus in the stable. Our nativity services (Nursery on 16/12 at 2:00 pm St Andrew's Church; Reception 18/12 5:00 pm St Andrews Church) will bring all this learning together to share with you at this special time. The Real School - progress update. Some of you may already have been for a look around the new show houses that opened up last week on the Tadpole Garden Village development. I was fortunate to go to the launch of the Village and met up with many of the designers and people involved in the woodlands and open land surrounding the site. It looks set to be a very exciting project that your children will be involved in from day 1 - there will be opportunities to work with artists on aspects of the public art areas and also to benefit from the many wildlife and outdoor developments that will be taking place. I also went to the school site for the first time... it feels huge compared to where we are now! Wilmott Dixon are making good progress and it is possible to see most of the foundations in place already. The beginnings of the timber frames were being erected the day that I was on site and it looks like the building will be as bright and airy as the one we are in now. The builders are keen for the children to visit the site but at the moment it wouldn't be safe for them so we are hoping to take them over sometime in January for a first look around. If I can, I will get permission for parents to visit at some point too as many of you have asked about the build and I know would love to see it. You may have noticed, in a recent Swindon Advertiser article, that Swindon Borough Council have now confirmed an opening date of September 2015 for us to be in the new building. This makes sense as the contractors are due to finish sometime in June/July and so we will have plenty of time for setting up the building ready for the children's return after the summer. The plans are currently being updated and I hope to have a set on display soon. Thank you so much for the Harvest donations you gave. The Swindon Foodbank volunteers have collected the goods and will let us know how many meals we have provided. The Foodbanks are particularly needed at Christmas, as families struggle with gaps in income and cannot provide those Christmas treats that we may take for granted. We would like to do another Foodbank collection around the end of November - we will confirm exact dates after the holiday, but maybe you could keep an eye out for early offers on Christmas goodies that you might be able to donate. Having worked with families who have benefited from such help at Christmas, I can personally say that the difference that having the basic food stuffs, as well as a few Christmas biscuits/treats, can make to what can be the hardest of times is significant for families in need. We will be supporting Children in Need on Friday 14th November. For a £1 donation, your child may come to school dressed up as a superhero or just dressed in fancy dress - all money raised will be sent to Children in Need. There are some great fancy dress tips for easy to create super hero costumes here. Easyfundraising.org.uk Raise money for the Friends of Tadpole Farm School when you shop on line by using this web site - more details will be in a leaflet in your child's bag shortly. It costs you no more than shopping on line normally but the retailer sends a donation to the school for every purchase you make. Wellies and waterproof coats - the children love to play on the grass but it is often wet so wellies are the answer. If you have yet to send in a pair of named wellies, then can I ask you to do this as soon as possible. If you are unable to supply wellies please let Niki Wilding, in the school office, know your child's current shoe size and we'll see if we can provide spares. Waterproof coats are needed every day too as we do play outside in all weathers - whilst gloves attached are useful in terms of not losing them they do trail in the water and mud when we are playing outside. Parents Phonic Session - Tuesday 11th November 2:30 - 3:15 pm - come along and find out about the way your children learn the sounds that help them to decode and spell words. Miss Leach and Mrs Flynn have promised to make it fun for you and not include too many tests! There will be a creche running for younger children. We recommend that you come along to this session and ask that you sign up on the list that will be in the lobby from Monday 3rd November. Birthdays - it's lovely to celebrate the children's birthdays with them, see their birthday badges and celebrate with them in Friday worship with our everlasting cake and candles. Please be aware that we are a healthy school and that children of this age may have intolerances that are not yet known about so, even though we have enjoyed the things you have sent in for birthdays so far, we would ask that, from next term, sharing of sweets and cakes are kept for parties rather than in school time. Nut allergies - some of the children and staff have nut allergies so, to be on the safe side, could we ask that no nuts or products containing nuts are brought into school - thank you. It is the end of the first term already and it has flown past! We are delighted with the way all the children have settled into school and Owl and Squirrel classes have all become the best of friends. We have been getting to know ourselves and each other this term, thinking about keeping healthy and how we change as we grow up. We have been learning to recognise and respect similarities and differences in each other and our families. The children have written their class rules, based on our school values, and use them to support each other in their learning. The children had their first whole school performance and excelled themselves at our Harvest celebration, learning songs and poems in a very short period of time. Next term we will extend our learning into the world around us, we are planning walks around the neighbourhood and lots of visitors. We are impressed with the children's phonics learning, please keep practising at home and have fun with the new word webs. Have a happy and restful half term break and we will see you next month! The children have had a great first term in Hedgehogs and have settled in to our routines really well. Last week we read 'Oliver's Vegetables'; a story baout a little boy who ate lots of different fruit and vegetables. We then tried the fruits and vegetables from the story and said whether we liked them or not. We made collages of our favourite fruits and vegetables and learnt about Harevst. This week we have been learning about Divali and how other cultures celebrate important occassions. We talked about similarities and differences between Christian celebrations and Divali. The children made beautiful diva, for holding special lights; had a special snack to celebrate Divali and did Bollywood style dancing with the children in the Owl and Squirrel classes. The children have taken home there PE kits; please check through and make sure all the clothes are your child's own, as the odd item has gone missing. Please remember to bring named PE kits back in to school on Monday 3rd November. Have a lovely break and see you next term. As the beginnings of Autumn blow in, we're thinking about Harvest, coats and wellies, wet and windy walks and keeping those viruses away! In this blog you will find details of the Harvest service; requests re suitable clothing for the season, volunteers for DIY jobs and sewing cushion covers, support with children whose first language is not English and parents/grandparents to help with reading; reminders about collecting children, naming clothes, term dates and completing the Free School Meal forms; updates on The Lily Pad; Independence Fortnight and news from the classes. You are all welcome to join us for our Harvest Service at school on Friday 17th October at 2:30 pm. The service will be held in the Reception classroom, so please be aware that we do not have many adult sized chairs and it's likely to be standing places only. We know that many of you have younger children too and we would ask that you be ready to take them outside if they become noisy, as the school children are likely to go very quiet when they see an audience and we want to give you the best chance of being to be able to hear them. We will be singing too and asking you to join in so bring your singing voices! Our collection will be in support of the Swindon Foodbank - http://www.swindonfoodbank.co.uk/foodlist - please bring donations in on the Friday morning (or afternoon for Nursery afternoon sessions). As we move into Autumn the fantastic frog wellie racks that were made for us need filling with wellies so that the children can go out and about in the grounds,even when the grass is damp and muddy. If you have yet to send in wellies, please send in asap, making sure they are clearly named. Coats are a must for every day too, as the children do lots of their learning outside - if they are waterproof and easy to put on that helps the children. Volunteers - can you spare some time...? DIYers...We have some DIY type jobs that need doing from time to time and would appreciate any volunteers who could come in and spare an hour or so - if you would be happy to join our contact list for this then please email school@tadpolefarmcepa.co.uk. Once we move to the 'ultimate' school we will be employing a site manager for this sort of thing but for now we would appreciate your help. Sewing Bees... Thank you to all those who volunteered for nativity costume making - we'll be starting on this very soon. We're currently looking for cushion cover creators - if this may be you then let us know - the material will be in the school office next week. Speak more than one language..? We'd like to build up a list of people who can speak languages other than English, who would be happy for us to contact them to come in to school and share their skills and knowledge on an occasional basis. Please let Niki Wilding know school@tadpolefarmcepa.co.uk or pop in and see her. Help with reading/story telling... now the children are more settled we'd like to invite any parent volunteers who would like to help support reading to get in touch with us. There will be a short workshop after school so that we can introduce you to the way we teach reading and the question centred approach we use when working with children in 1:1 and 1:small group to support reading comprehension. Please email school@tadpolefarmcepa.co.uk if you would like to find out more by attending the workshop - once we have a list of those who are interested we will set a workshop date. Collecting your child... If someone, other than the usual person who collects your child, is collecting your child please give them a password to use. You will need to call the school office (01793737325), let us know the password and we will then ask the person collecting your child for the password before we will allow your child to leave. If your child is going to tea with a friend from class please make sure we know that too as we cannot let your child go with another adult unless we are sure you have made those arrangements. Names in clothes... Imagine it's 3:25, the children are getting ready to go home and they don't have their sweatshirt on - the adult in class has a pile of sweatshirts one named but two not... the children try and work out which one is theirs... the smell of the washing powder... the baked bean spill from lunch... yesterdays sticker or badge... all are good clues but how much easier it would be if it had their name in :) Thank you for naming your child's clothes, it really helps us. If you haven't had time to do it yet or the one you wrote on has washed off, we'd be really grateful if you would re-do the name labels - thank you. Niki WIlding has details of a very recommended company to use. Term dates... a reminder that we have an INSET day on Wednesday 22nd October and the school is closed to pupils that day. The last day of term 1 will therefore be Tuesday 21st October. Term 2 starts on Monday 3rd November. Reception Children only - Free School Meal Forms... As you know all the children in Reception are entitled to a free school meal and you do not have to apply for it.However, the government make additional payments to schools for some children whose parents/carers are on low incomes and, for us to access that funding, we need those of you whose children would qualify to fill in the application form for Free Lunches (check your child's book bag tonight - we've put a copy in there). As with many government forms, it can seem not straight forward so please come and see us if you would like some help filling in the form. It is really important to us that as many of you as are eligible complete the form - thank you. The Lily Pad is providing lots of fun for the children who need to be dropped off early or need to stay later than the end of school. There are still some spaces and you are welcome to book a place on an ad-hoc basis provided you let us know in advance. We can now accept childcare vouchers as payment - we are currently registered with Edenred and Computershare. If you need our registration details please email school@tadpolefarmcepa.co.uk. If your company uses a different scheme for vouchers please let us know and we will register as a provider under that scheme. The children have settled in really well and we think that many of them are ready for the next step. For the rest of this term we will be focusing on independence and encouraging the children to come in on their own (hugs etc at the inside gates to the play areas); hang up their own coats and bags; sort out their own water bottles and any notes for the school and settle to their start of the day tasks with their friends. I know this is a tricky thing for some of you to support them with, and it's not that we don't want you to come in and see us, but it really helps the children if they can build these independence skills and, in my experience, this last few weeks of term 1 is the most effective time to do this. If your child is not ready to come in on their own then we would ask that you support them in hanging up their own bag/coat/putting their things in the right places and gradually move to watching them from the door... then the window etc. The children will get stickers and smiley faces for being independent and I'm looking forward to giving out lots of those in the next few weeks. What a busy week we have had in Reception! 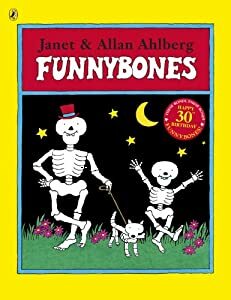 We have been learning all about our bodies and bones and had great fun reading the Funny Bones stories. We explored jelly brains and made our own skeletons. We have been singing songs about our bodies and learning what different parts of the body do. Have your children been telling you about their germ hunts and what they have learnt about germs? The children shared their feelings this week and we were delighted that so many of them said that coming to school made them feel happy!! We are so impressed with how much the children enjoy their phonics session; thank you for supporting them to practise with their phonics books at home. Please ensure that the picture begins with the correct letter sound e.g. igloo not ice- cream. Your child could sing their song to remind them. We have had a wonderful week in Hedgehogs! This week we have been learning about feelings.We have been talking about how different situations make us feel and also what makes us feel happy, sad, cross or excited. We came up with ideas together about how to help others when they are feeling upset or lonely. We also talked about things we can do to help us calm down when we feel cross. We have been developing our speaking and listening skills by responding to questions and listening to what our friends say. We decided a class set of rules and have been getting lots of smiley faces for following our rules. Next week we will be learning about our families and how we have grown and changed since we were babies. To support the children's learning, please can your child bring in a photograph of themselves as a baby and a family photograph. If your child is in our morning session and you would like them to take part in our Harvest service please sign up on the sheet outside Hedgehog classroom. Counting Down - Almost there! This week has been a very exciting week in school - lots of cardboard boxes, exciting contents, tradespeople finishing off things, parents in helping and bringing cakes and all the staff enjoying themselves as they set up the classrooms for your children. The pictures above give some clues to some of the things in school now - I wonder if you will be able to spot them next week? The Reception and Nursery morning children are in during the morning - the Nursery morning session finishes at 11:40; Nursery children who have been signed up for lunch club finish at 12:20; morning group Reception children finish at 12:30. There will be some treats in store too - and plenty of opportunities to play with the wonderful resources we have. Before and After School Club - now known as the Lily Pad! The Lily Pad will be open from Wednesday 3rd September (morning only) then from Thursday 4th September morning and after school. There are a number of spaces available in these sessions so if you are interested in your child attending, and they are not yet signed up, please let us know. We may be able to be flexible with attendance provided we have sufficient notice. Remember there is also the option to extend the Nursery class session by adding in lunch (morning session plus lunch would mean a pick up time of 12:20 rather than 11:40; afternoon session plus lunch would mean a drop off time of 11:40 rather than 12:20 - children will need to bring a packed lunch at least for term 1, though we are looking at the option of dinners being able to be purchased for the Nursery children. Payment for these session will normally be done a month in advance but we will be letting you know about September's costs next week and ways of payment - currently the school bank account is being finalised, as is the official school numbers and both are only able to be used from next week when we are officially open. Payment methods will eventually be available on line, though these systems are still being set up so we would ask you to bear with us for the first term. Our registration to accept childcare vouchers can only happen once we are officially open (and the Department of Education have changed our status from 'proposed' to 'open' on their data base) and that will be from 1st September. The staff running the Lily Pad have some great ideas about what they will do with the children and I am sure your children will have a lovely time in these sessions. Please remember we will need to see proof of your child's date of birth - either birth certificate or passport - please bring in in week 1. We'll be asking for details of doctors, contact details, allergies, any medical conditions, collection details - it's always useful to make notes of these so that filling in the forms is easier. To help keep our neighbours happy it would be great if you and your children could walk to school. If you do need to come by car please can you park at the rear of the school, Greenwood Place (accessed via the road opposite the entrance to Isambard School (Vaughan Williams Way), where our temporary shop unit was) and then walk up the path at the side of school. Please avoid using the cut through from Alwyn Court and avoid parking at the front of the school as the Frankel Avenue oval parking area can be very busy with delivery lorries and reversing cars. ... have you registered with Cool Milk? See last blog post for more details. Have a lovely last holiday weekend and we're very much looking forward to seeing you next week.